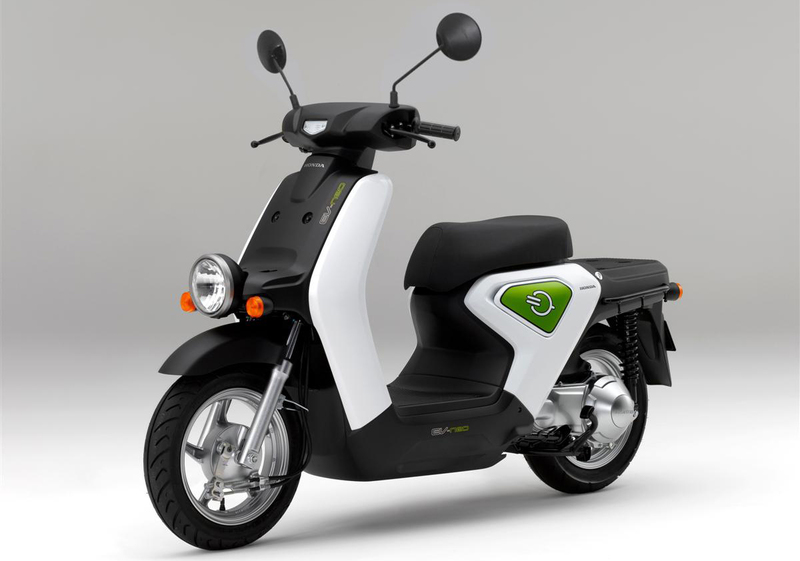 Honda announced today that it will start lease sales of the EV-neo electric scooter on December 24. According to Honda's plans, 100 EV-neo scooters will be delivered between December 2010 and March 2011 to cooperating businesses in the monitoring program for collecting riding data and other useful information and to start lease sales of the EV-neo to general businesses and individual business owners in April 2011. The annual target lease sales in Japan is 1,000 units and the base price (with quick charger) is 574,350 ¥. The EV-neo uses the new SCiB lithium-ion battery from Toshiba and can achieve 34 km vehicle range per charge. An optional audible pedestrian alert system to warn pedestrians of an approaching vehicle when riding at 28 km/h or lower will be available.